The 2nd Workshop on Ecuadorian Geology will directly precede the International Symposium on Andean Geodynamics (ISAG), and will be held on the campus of the Escuela Politécnica National, Quito. The workshop is two days long, and we invite delegates to submit abstracts for oral presentations, which are presented in a single session during the first day, and the morning of the second day. We also encourage delegates to submit abstracts to the ISAG. Abstract are requested on all aspects of Ecuadorian geology, including field studies, structural, magmatic and metamorphic studies, sedimentary, petroleum and ore geology. We also encourage presentations that include the application of innovative analytical methods to Ecuadorian geology. The final afternoon is reserved for discussion groups, who regroup towards the end of the day and present their findings and recommendations to all delegates. The 1st Workshop occurred in September 2017, and was initiated to discuss the Geological Map of Ecuador, which was released by INIGEMM in 2017. Discussion groups during the 1st Workshop included, i) The Alamor-Lancones Basin, ii) Outstanding questions about the geology of the Cordillera Real, and iii) the geology of the Oriente Basin. The aim of this project is to develop a pilot prototype of earthquake forecast model in Ecuador and in Peru where major earthquakes and tsunamis are likely to occur in the future. The novelty of the model is that it will integrate our complete knowledge on faults, including their seismic potential quantitatively evaluated from geodetic, seismological and geological approaches. The primary deliverable is the anticipation of the location, size, frequency, ground motions of future destructive events. Our project includes a focus on hazards and vulnerability in Quito, and the development of a near real-time seismic response platform. We will present the state of the art of the program including the deformation and seismic activity before and after the main shock of the Pedernales Mw=7.8 Earthquake which struck Ecuador in 2016. This program is supported by the grant ANR-15-CE04-0004 of the French National Research Agency, by the IG-EPN, IRD and CNRS. Tungurahua volcano is one of the most active volcanoes of the Ecuadorian Andes. After ~75 years of quiescence, Tungurahua reactivated in October 1999 and remained active until the mid 2016. During this time, the volcano experienced low-to-moderate eruptive activity characterised by frequent canon-like explosions, local ash dispersal and frequent lahars. This pattern of activity changed in 2006, when the large subplinian eruptions occurred (July 14th and August 16th) and produced large pyroclastic density currents and regional tephra dispersal. 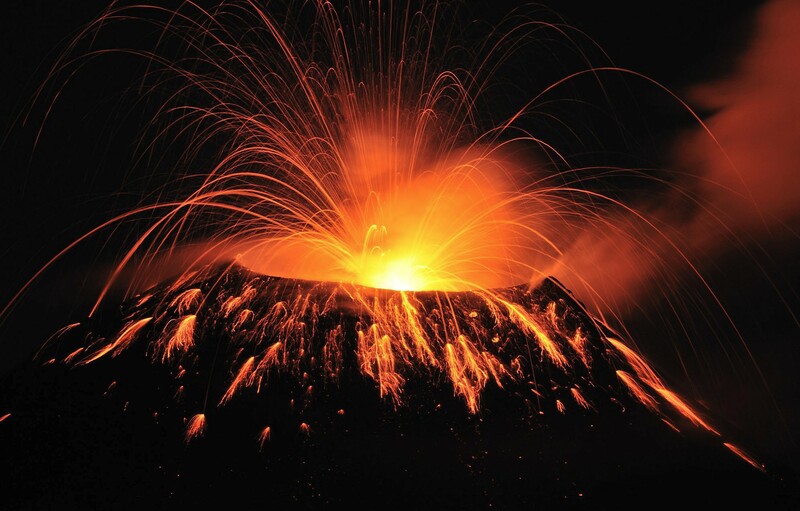 Since then, eruptive activity evolved to short-lived vulcanian-like events followed by smaller explosions and almost frequent ash emissions (February 2008, May 2010, December 2012, July 2013, February and April 2014, February 2016). The main goal of this workshop is to commemorate the 20 th anniversary of the begining of this eruption by bringing together volcanologist that have worked or still work on Tungurahua. We seek contributions from different approaches, such as physical volcanology, petrology, geophysics and those interested on the social issues associated with this long-lived eruption period. Strombolian activity at Tungurahua volcano. Photo by B. Bernard.